Another wintry week means there are more bagels to be had. 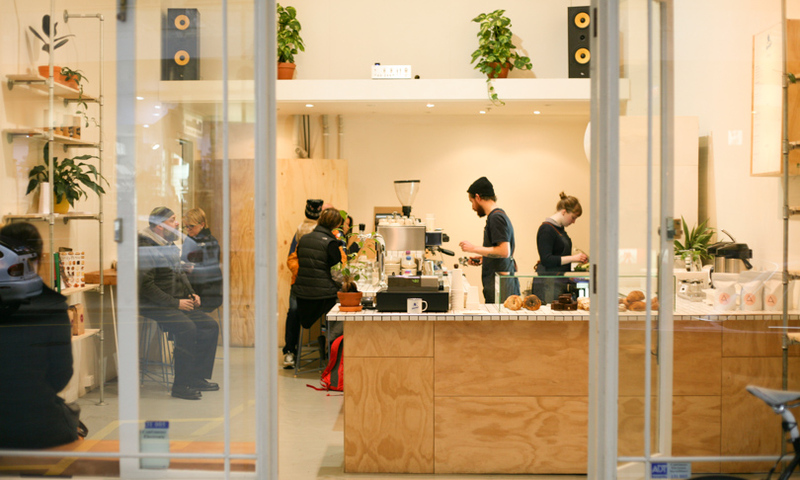 In the second edition of our City bagel guide we donned the largest coats we could find and headed out for a breakfast bagel at Monday’s Coffee Store. Monday’s on a Tuesday is always a good choice, especially when there are bagels involved. 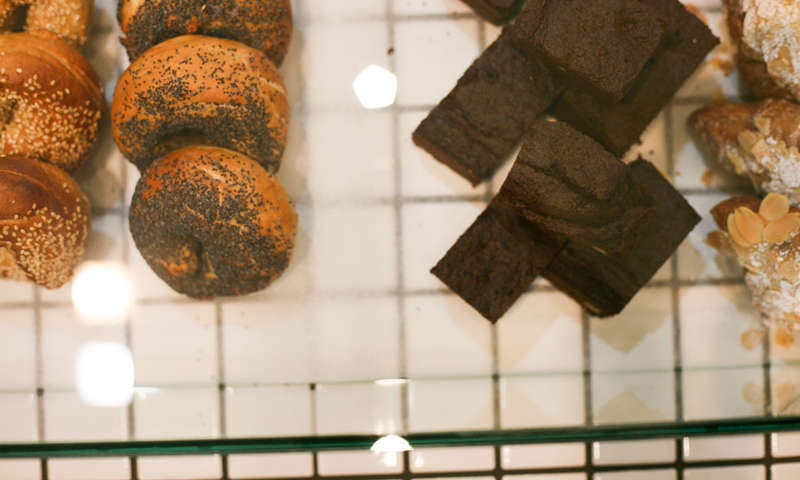 You may have spotted the little doughie delights when ordering your morning coffee – under glass, on display like they’re in a museum. Visit Monday’s Coffee Store at 7/38 Gawler Place, Adelaide from 7am Monday to Saturday. The menu is kept simple so as not to confuse those fuzzy, ‘I-just-got-out-of-bed’ heads. 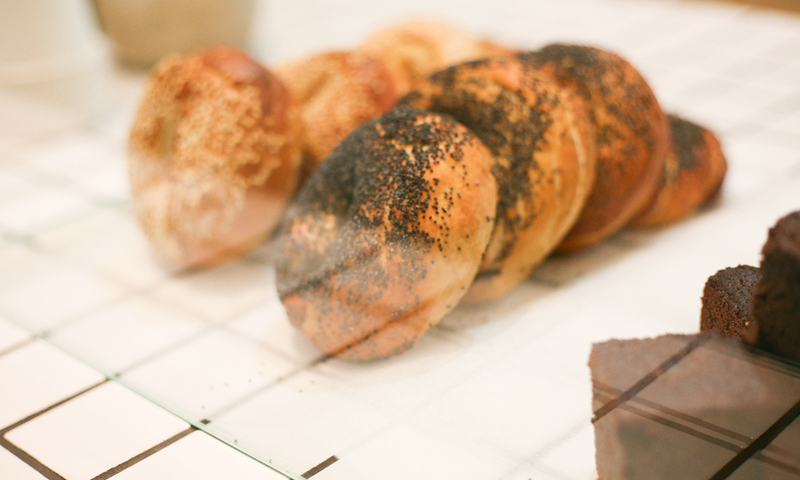 Sesame or poppy seed bagels, with four choices of toppings – cream cheese, salmon, avocado or pastrami. There really is no need to ponder for too long because – a tip – they’re all worth a try. It all starts with the bagel, of course. Slightly smaller than those we’ve tried before but that’s not necessarily a bad thing. It makes us think of that old line, ‘less is more.’ And in this case, we heartily agree. Not dry or overly chewy, these bagels have the perfect texture. And being handmade by a local, small-batch supplier, it’s no surprise really. Monday’s have gone for quality over quantity on the toppings and have achieved a good balance. 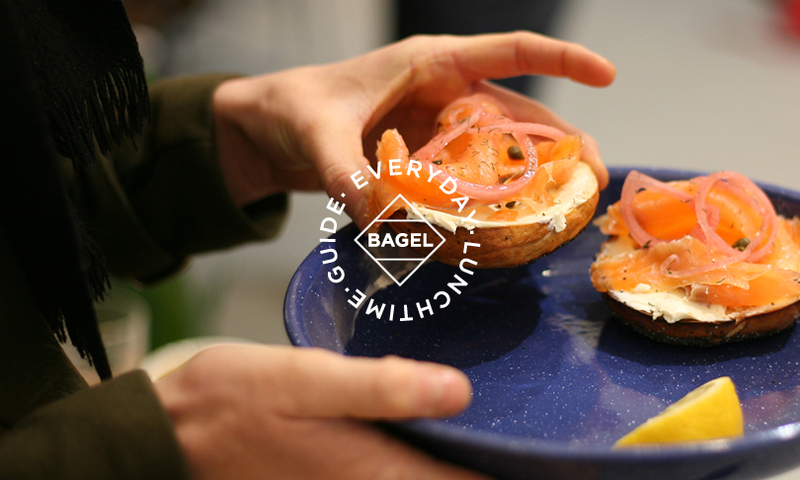 These are bagels just the way we like them – simple toppings on a good quality base with minimum fuss. The salmon option, which comes served in an open fashion, is served on a toasted poppy seed bagel and topped with a thick layer of cream cheese. The salmon is locally sourced from the Harris smokehouse in the Adelaide Hills, and the pickled onions are made on site and add a good hit of sweetness. The pastrami (considered the “full breakfast” option of the menu) comes sandwich-style and cut in half. 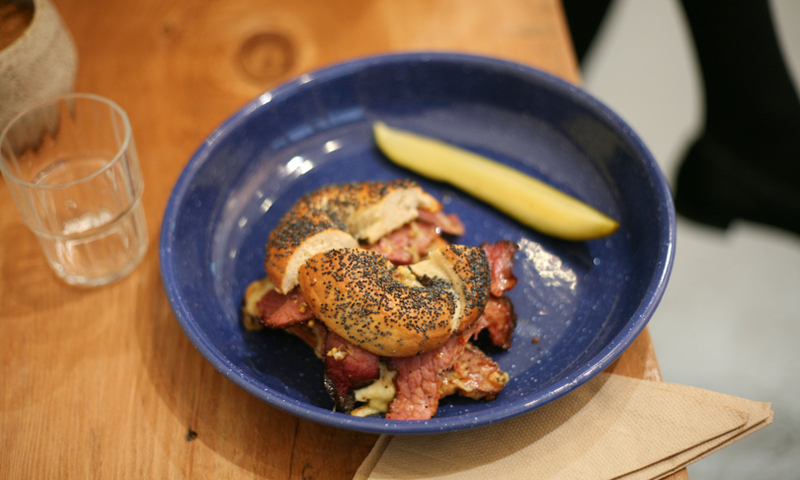 Rich and oozing with comte cheese and horseradish mustard, the thick-cut Barossa Fine Foods pastrami is the hero as it hangs from the edges of the bagel. It’s a mouthful, and best consumed with both hands. As our bagel feast draws to a close we’re feeling a little more ready to face the day – well equipped with coffee, carbs and our trusty coat.